The Child Support agency is responsible for enforcing Child Support payments when the non-custodial parent does not make Child Support payments as ordered by the court. The support payments must be at least 30 days delinquent before court action can be initiated. Paternity is determining the legal father of a child. 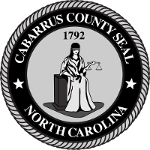 Either party may request a modification of a Child Support order by calling or visiting the Cabarrus County Department of Human Services.